When hiring a carpenter, you want a professional who is going to listen and carefully guide you ~ someone you can trust to execute the custom carpentry project or custom trim look you want in your home. As a Main Line general contractor who has earned a reputation for quality, that’s what we do… We make your home your dream home. Given Ted’s extensive background as a woodworker and furniture maker, he and his expert team of carpenters can build “everything custom carpentry” on the interior of your home. 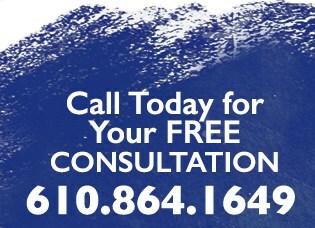 If you or your interior designer can dream it, we can make it happen for you. Our experienced finish carpenters have the ability to create one-of-a-kind decorative looks by combining moldings and profiles that will appear only in your home. We also have the tools to fabricate unique trim profiles creating truly unique moldings just for your home. Our carpenters have produced beautiful custom projects throughout the Philadelphia area, everywhere on the Main Line and surrounding communities from Bryn Mawr to Wayne to Malvern. Our master carpenters and professional painters can install and finish – crown molding, wainscoting, chair-rail, bookcases, coffered ceilings, ceiling beams, custom fireplace surrounds and mantles, and build or install all types of cabinetry. The custom carpentry process starts with a free consultation, where we work with you in creating custom designs that compliment your home and fit your planned budget. We start with an initial consultation to discuss your project. Online Research: In advance of the consultation appointment, we advise homeowners to research online for projects similar to the one you are planning – by visiting Houzz. Specialty Lumber Company Books: Our specialty trim partner, Tague Lumber, has an online profile book. You can view it HERE. We follow-up onsite to review trim moldings and trim profiles to determine how they match-up with your tastes and your home’s style. 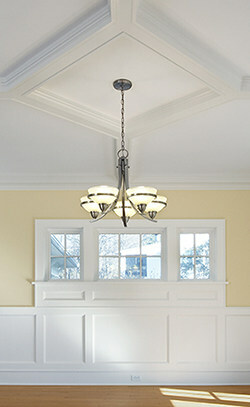 Discuss creative possibilities of combining trim moldings and profiles. We also have partnerships with two Main Line interior designers, who can assist you in planning your new custom carpentry project. We schedule our carpenters for your family's convenience, including a firm completion date. If want a faster completion, we will assign a larger crew to speed-up your project’s timing. Our carpenters and carpenter assistants will execute the project either onsite or in our workshop. Then they will carefully install your custom project. Upon installation, our painters will finish off the woodwork. We offer all phases of staining and polyurethane applications, as well as traditional brush-and-roll paint finishes.